Luggage Packing Machine is mainly used for the packaging of big cargo or pallet that needs to be transport or stored. The pallet load/cargo is loaded onto the rotating Turntable, which carries the pallet/cargo rotates so as to wrap the goods around. It is widely used in glass products, hardware, electronic appliances, paper-making, ceramics, chemicals, food & beverages, building materials and so on. 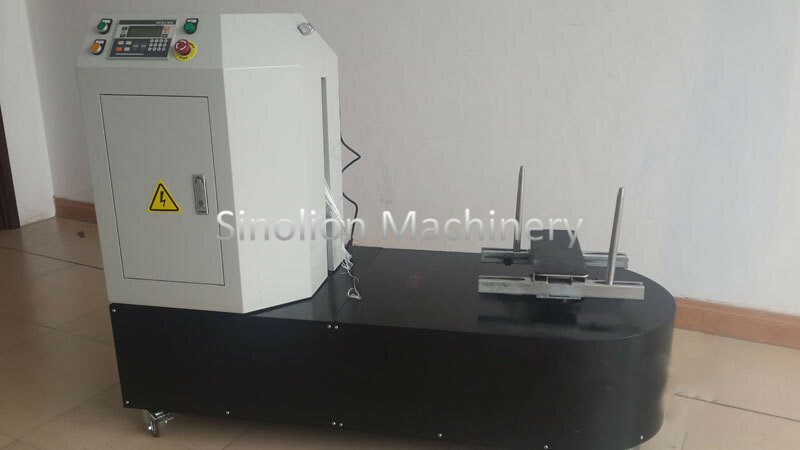 This type of Film Packing Machine is high in packaging efficiency, anti-dust, anti-moisture and reduce the labor cost & material cost. Customized Stretch Film Packing Machine available. Looking for ideal Luggage Packing Machine Manufacturer & supplier ? We have a wide selection at great prices to help you get creative. All the Film Packing Machine are quality guaranteed. We are China Origin Factory of Stretch Film Packing Machine. If you have any question, please feel free to contact us.